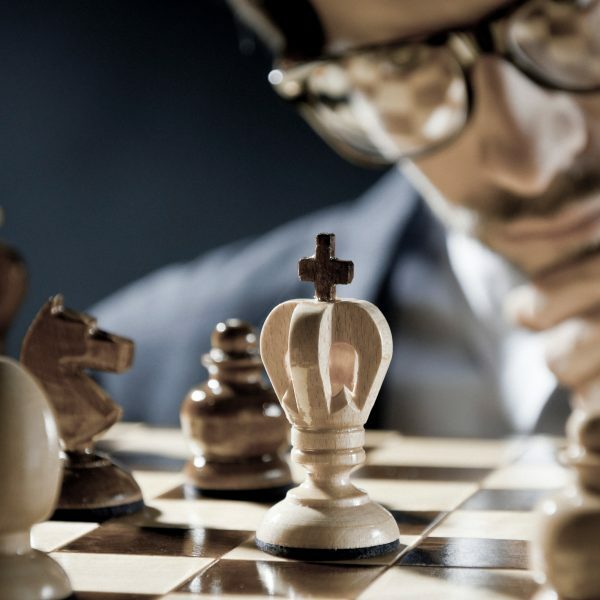 Reputational risk is a concern for every company, organization or individual in corporate leadership. 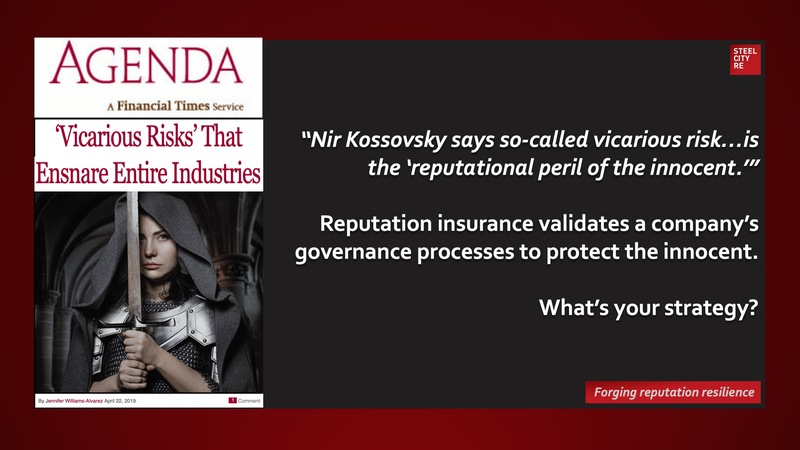 No one is immune from the risk of reputational damage – the tangible, material peril posed by angry, disappointed stakeholders whose expectations have not been met. 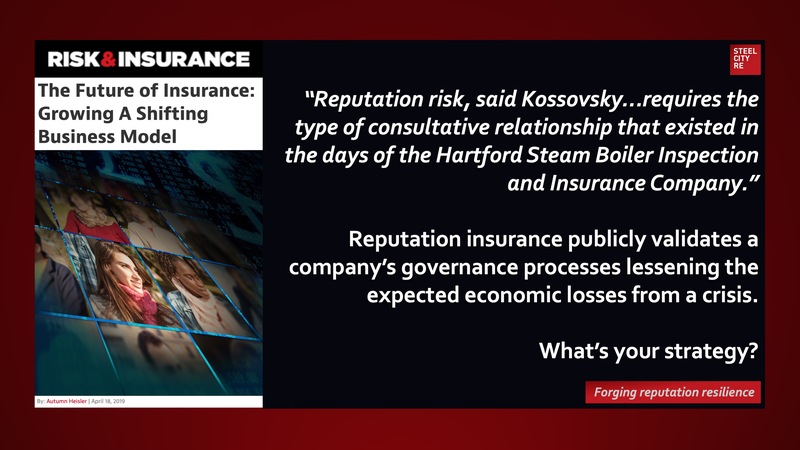 Enterprise risk planning backed by big data analytics, proven algorithms, and transparent communications to stakeholders through insurances and other financial signals – can help forge reputation resilience. 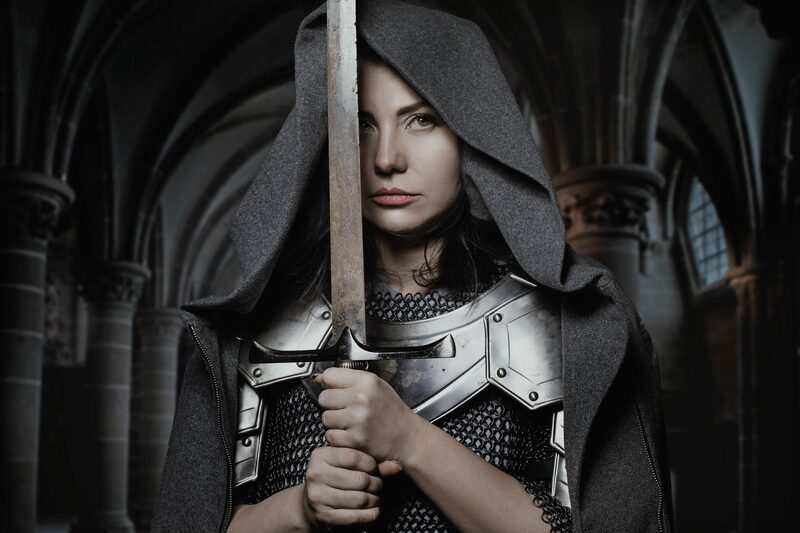 Steel City Re has written the book on reputation, its value, the costs of loss, and the return on investing in reputation resilience—and its consulting and insurance products address crucial issues facing C-suites, boardrooms, and enterprise risk communities. 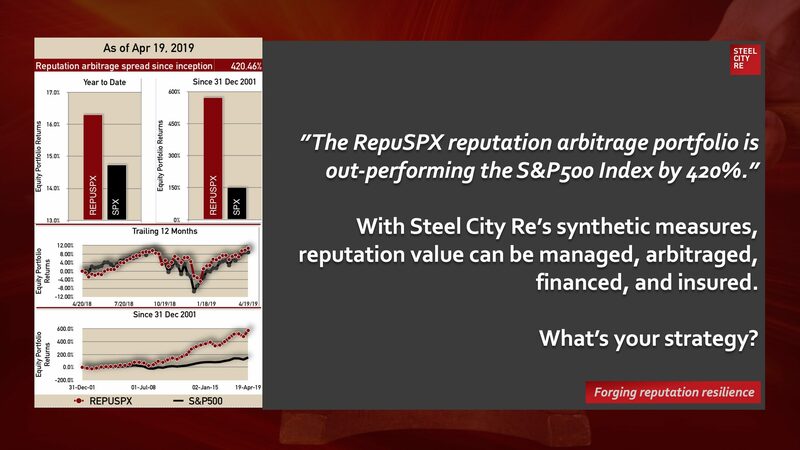 Steel City Re’s comprehensive strategic solutions include management advisory services, risk financing, and insurances that simultaneously manage stakeholder expectations and both corporate and D&O economic losses.